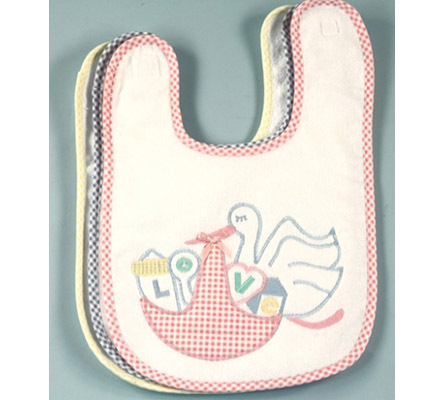 Show the love with our beautiful Stork applique baby bib. This is our finest quality full sized baby bib (15" x 10 1/2" ), made from premium terry fabric in the USA! The bib has an easy on & off velcro fastener and is available with gingham fabric trim in three colors. 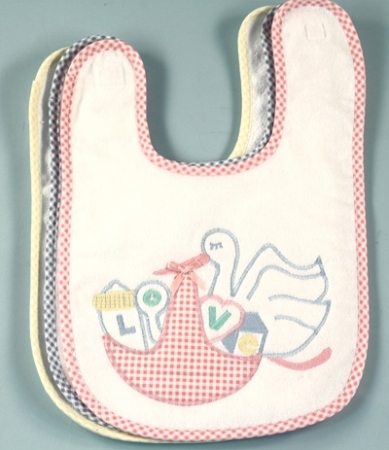 A fantastic baby bib with a classic stork design...what's not to love!